You know it’s possible to design your own quilts. But how do you structure learning how to draft blocks, learning how to work with complex quilt designs and layouts and learning to create both blocks and layouts for an original design? 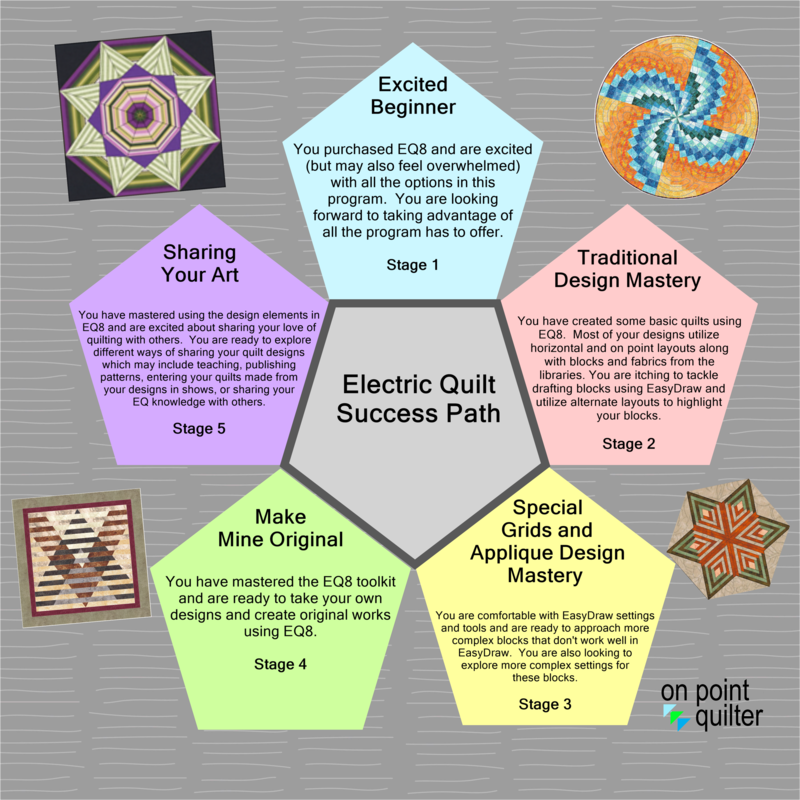 You’ll see how in my Electric Quilt Success Path video. Before watching the video, download the EQ8 Success Path Blueprint. Plus, you'll learn how to learn the nuances of what to work on during each stage of the journey... without being overwhelmed with all EQ8 has to offer.